The Operational Communications (OpComm) Bureau is a support unit within the Department that is absolutely critical to the agency’s statewide law enforcement mission. Operating 24-hours-a-day, 365-days-a-year, 105 OpComm personnel operate communication centers in Flagstaff, Phoenix, and Tucson which provide dispatch services for the department and other law enforcement agencies statewide. Regionally, each OpComm Center facilitates the flow of information between criminal justice agencies, emergency service agencies, and the public regarding highway and public safety. OpComm personnel receive approximately 472,000 911 calls annually and dispatch first responders and resources to emergency situations occurring statewide. OpComm utilizes radio systems through dispatch consoles which allow for seamless communications between the three centers. Additionally, the three OpComm Centers handle more than just 911 calls. OpComm’s total calls for service is over 747,000 calls annually. Personnel working in these centers receive an extensive amount of intense training to become proficient in the many responsibilities they are tasked with. These employees train for anywhere from nine to twelve months and the training consists of both classroom and on-the-job training. At the conclusion of their training, OpComm personnel become some of the highest trained employees in the agency. The Northern Communications Center, located in Flagstaff, provides dispatch services for troopers and other law enforcement personnel assigned in the northern portion of the State. The center experiences some of its heaviest traffic during the winter season because of the massive snow storms cause adverse weather conditions for motorists along Interstate 40, Interstate 17 and, motorists traveling along other northern Arizona roadways. The Central Communications Center is located in Phoenix and provides dispatch services for troopers and other law enforcement personnel in Maricopa County, including those assigned to the Capitol District. The center is the busiest of the three communications centers at DPS due to the high volume of calls for service which originate from motorists traveling along the Phoenix area freeway system. Calls for service to the center tend to spike during the morning and afternoon rush hours. 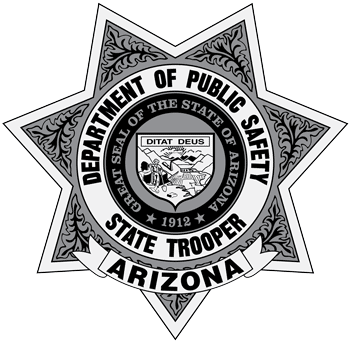 The Southern Communications Center is located in Tucson and provides dispatch services for troopers and other law enforcement personnel assigned in the southern portion of the State. The center handles most DPS radio traffic originating from the busy U.S.-Mexico border region. The center also processes calls for service originating from throughout the Tucson and Pima County. In the summer months, the center becomes quite busy during major weather events such as monsoon dust storms that affect motorists in the region. AZDPS dispatchers receive an extensive amount of training to be prepared for any emergency, big or small that may happen. They are trained to do multiple things at once and their service is vital in making sure the public receives emergency support. Do you have what it takes to become an AZDPS dispatcher or call taker? We are currently seeking motivated, service oriented men and women who have a desire to serve their communities and work on the front lines of public safety as Operational Communications employees. Click here to learn more.